Sunday morning I awoke ready to spend time with my brothers and sisters in worhsip, but there was a small emptinness and ache within me that I couldn’t seem to shake. As I spent some time in His Word and in prayer I simpley asked Go to embrace me in His arms this day and experience more of His unfailing love and His Presence. My heart needed a touch from the Lord. “Love lifted to me…Love lifted me…when nothing else will do! !…Love lifted me.” In the arms of His embrace!! It is interesting how those old choruses resonate in my heart and just just when I need encouoragement God brings them to my mind and sings them over me. I love how God touches and moves in this way. I was also remindedd of where these songs first took root within me and the bofdy of believers that poured into me, loved me, faithfully prayed for me, encouraged me and led me to Jesus. I can picture many of them now singing with hearts for Our Lord and Savior. I can hear their voices in my own heart. Such a sweet, sweet sound and even sweeter memories!! My roots go down deep, becasuse of the believers at Potsdam Church of the Brethern. I thank my God in remembrance of you and the foundation you poured into me as I grew in the knowledge and the accepting by faith, Jesus Christ!!! Mesi Jezi!! As service progressed one of our ladies from our Bible study moved back to the benches that were in front of me with her 2 little ones. Her little girl who is about 3 or 4 and her son who is about 6. I hadn’t seen her kids for well over a year in church. I began making faces with the little girl who was being curious and looking at me and then hiding her face. Most of you know how I am with kids, so you can imagine the silliness we were enjoying:) She stopped for a brief moment to whisper something to her mama and then she got up and came back with me. She touched my arm and smiled and then she gave me a big hug. I picked her up and sat her on my lap and she snuggled up close to my chest and held me tight, like I’d known her forever. I haven’t had any real contact with this precious little one accept when she was born. Her mama had a difficult delivery and we really believed she might lose the baby. God thought otherwise!! Praise the Lord!!! A group of us ladies went to visit her after she was born and prayed over them and now she is growing and has such a joy within her. My heart and her heart, this day, felt the embrace of Jesus. He answered my hearts prayer in a way I did not expect. It’s just like Him to use the life of a child with me. He knows me and knows what I need at just the right time. He lifts up my soul as I trust in His unfailing love and as He loves me He shows me how to love even deeper still. For this I am eternally grateful!! There is nothing sweeter than being in the embrace and presence of the Lord!! Who in your cirlce of influence is in need of His embrace? Be the arms of His embrace today!! It has been way too long since I’ve actually blogged here. I’ve been doing short little snippets…ok sometimes long:)…on my Facebook posts and I have just not been motivated to write or do anything more than this. It’s been almost a year since my last post and God has been doing some renovations in this heart of mine as I continue to love and serve the Haitian people, so you may be hearing a bit more from me in the days and weeks to come. After posting a little message about Gabe Thurs. on facebook about him running to my door at 10 at night to tell me his Bible verse and a couple other posts…I recieved some sweet e-mails, instant messages and replies to these posts. I was deeply touched and encouraged, but I also have been struggling a bit. I have never been one who was good at taking compliments. It’s hard to know what to say in return. With all of this I began thinking of the kids I used to coach. Many who are not kids any longer. Some are married with children, some are getting ready to be married, some are attending college and some are taking steps for Grad School or finding a job. Many I still follow and keep in contact with and I am richly blessed to be able to do so. Many God brings to my heart and mind as I continue to lift them up to the Father. I have sweet precious memories of these young people. One thing that has weighed on my heart the past couple of days is their relationship with Jesus Christ or if they really know Him. The song below speaks of this…not to just them, but in all that I do. My hearts desire is for those I have the opportunity to meet and to know is that when we go our seprate ways that they will love Jesus more and some cases will they come to know Jesus!!! Now I know in my heart and in my head that it is not me who changes the hearts of those who God places along my road. That it is He who works in the hearts of each person. It probably didn’t help my heart to sit down and watch the movie last night “Left Behind”. This life is so very short and when God calls me home I want to be able to someday see those I walked this journey with in heaven with me. I share with the Ladies Discipleship groups that many know Jesus. They know His name. They know the stories, but I ask them…Do You Know Him? Really Know Him? Then I ask them if they know the President of Haiti. I ask them if they have had conversation with him…spent time with him getting to know him. Do you know his likes and dislikes? Everytime they say no. Then I ask do you really know Jesus? Have you spent time with Him? Do you know what He likes and dislikes? Do you really know what He has done for you? He wants a relationship….He wants us to love Him more…to dig deep into His Word to get to know Him. How will you know Him if you don’t spend time getting to know Him? So…I continue to pray believing that the young people I love dearly and miss so much will come to know Jesus in a personal and intimate way. That they will hunger and thirst for Him. For He is the Only Way, the Only Truth and the Only Life!!! I pray for the young people God has placed on my path while I am here in Haiti….American and Haitian…that they will see Jesus in us and not us. That we (I) will decrease and He will increase. That they are drawn to what Jesus is doing here and not anything we (I) have done or said. I pray that we would be Instruments in our Redeemers hands….being used for His glory and purpose. I pray for our precious little ones that they will be raised to know and love Jesus with all their hearts, mind, soul and strength. That they will be a generation that turns this country toward Jesus. 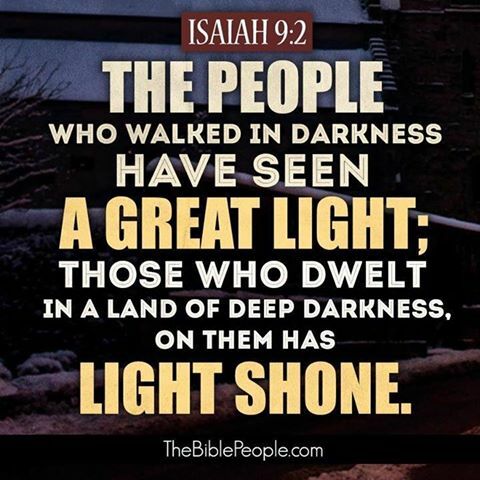 That His Light will overpower the darkness that is so prevelant in this community and country. To my kids near and far…I love you so very much, but there is One who loves you even more and it is Him I desire you to know. Will you love Jesus more? This is my continual prayer for you!!! I do want to thank all of you that send such sweet notes of encouragement, instant messages, voxes and posts that bless my heart and remind me who’s I am and that He’s not through with me just yet. Your faithful prayers and notes lift me in ways you will never know. In my weaknesses He really is making me stronger and I am grateful for the family and friends that walk with me and help me up when my knees feel like buckling or when I am flat on the floor. 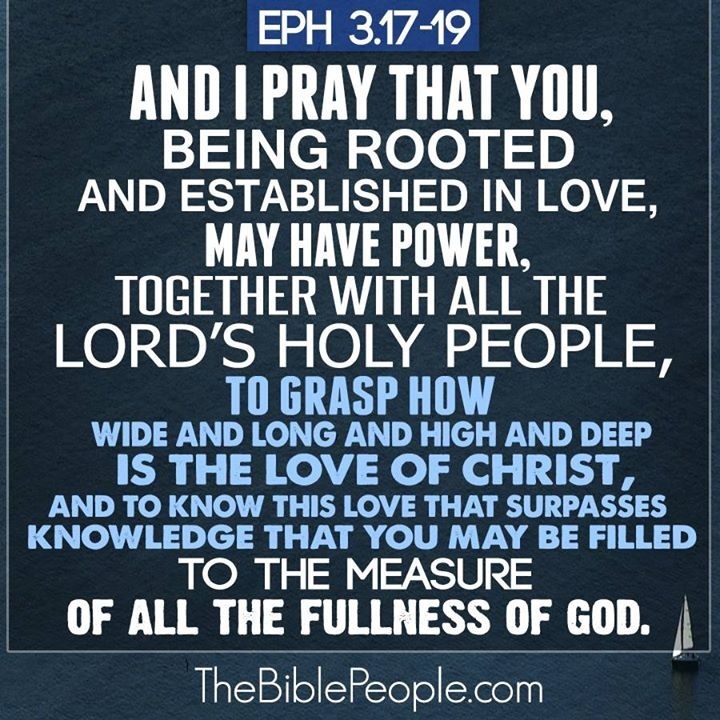 You help me keep my focus when “I step out of the boat to walk on water”…You help me stay the course and keep me accountable…You’re not aftraid to speak truth in love even when it might hurt…Simply put, you show me the hands, the feet, the face and embraces of Jesus. Thank you so very much!!! Today was our last official meeting with our Discipleship Dames class. As usual I had a lesson all wrote out, but somewhere along the line my script changed as I was prompted to remind them how much Jesus loved them and how beautiful He tells them they are. No matter what they have done or what they are doing…He loves them and wants a relationship with them. Kenson and I shared with them Psalm 63:1-8 as it resonated in my heart all day today. It says.” You, God, are my God, earnestly I seek you: I thirst for you, my whole being longs for you, in a dry and parched land where there is no water. I have seen you in the sanctuary and behold your power and your glory. Because your love is better than life, my lips will glorify you. I will praise you as long as I live, and in your name I will lift up my hands. I will be fully satisfied as with the richest of foods; with singing lips my mouth will praise you. On my bed I remember you: I think of you through the watches of the night. Because you are my help, I sing in the shadow of your wings. I cling to you, your right hand upholds me. ” Reminding them how He longs for them seek Him, to hunger and thirst for Him and to spend time with Him. I asked the ladies if they knew the song “I Have Decided to Follow Jesus”. I began singing and a beautiful chorus rang out as they joined with me…at this point I held back the tears…you know me:) I shared with them that deciding is just the beginning. I told them that many times as I walk through the community I will run into people who I haven’t seen in worship for a while. People that I’ve watched go forward and then be baptized. I will ask them why they aren’t coming to worship and the common reply will be, “I’ve been baptized or I’m converted” which my reply to them is from Hebrews 10:25 where we are told to not stop meeting together, but to continue having fellowship.” Confessing and baptism is only the beginning,” I told the ladies. I shared with them that the beginning is like a babe that only drinks milk, but if you don’t continue seeking Him, practicing the spiritual disciplines of prayer, worship, Bible reading or listening, fellowship with one another and serving you will continue to be that babe only drinking milk. We want to crave and mature into eating real food and the only way to do this is to keep meeting together and spending time in His Word and in prayer. I followed up with this simple ABCD…yes, into the alphabet this week:) A=Ask; ask Jesus into your heart…Romans 10:13 B=Baptism; follow Jesus example.Romans 6:4, 11 C=Church; seek a Bible believing/teaching church, where God’s Word is the Authority being preached. Heb. 10:25 and D= Do what the Bible says. James 1:22. I gave the rest of the service to Pastor Agenor as he brought the Word to them and used Isaiah 1:18-20, where it says,”Come now, let us settle the matter, says the Lord. Thought your sins are like scarlet, they shall be as white as snow; though they are red as crimson, they shall be like wool. If you are willing and obedient, you will eat the good things of the land; but if you resist and rebel, you will be devoured by the sword. For the mouth of the Lord has spoken.” No he did not preach a fire and brimstone message, but I know it cut to the heart. He spoke in his gentle and compassionate way and gave the invitation for those to come forward to accept Jesus. One of the ladies didn’t hesitate, she jumped up and went forward. My heart so wanted to see many of the ladies come forward, but today was not that day. I could tell that there were many who were holding back, but I know God’s timetable is not mine. I can’t change their hearts, but I know the One who can. I’d be lying if I didn’t say I was a bit disappointed, but then I recalled a story I read this past week about 2 missionary ladies that served in a predominantly Muslim country. They were asked what was the hardest part of starting out in a Muslim country as 2 single women. Their reply was that they did not have one single person who gave their heart to Jesus for 10 years, but knew that this was where they were suppose to be and now they are seeing people come to Jesus. This was a good reminder for me today and know it wasn’t by coincidence or accident that I read this story!! I love how God prepares my heart and gave me an even deeper love for these ladies. 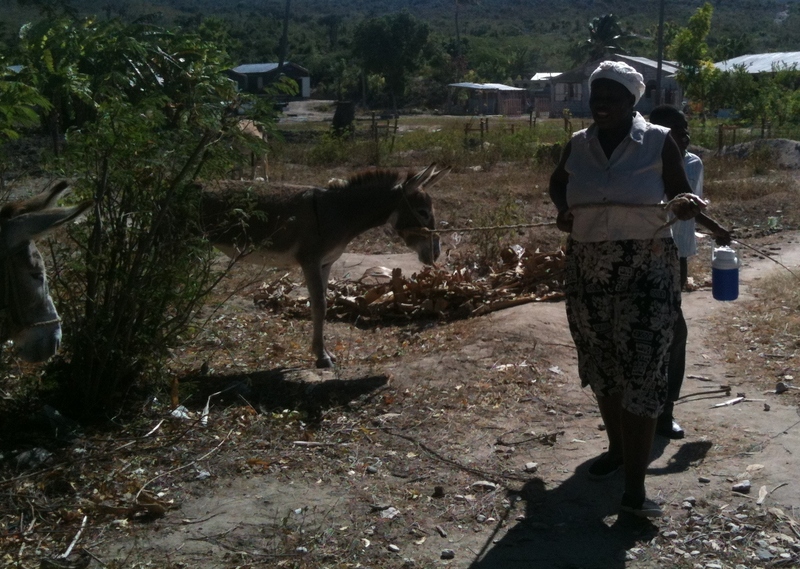 He is not finished with these ladies…so we will continue to pray for changed hearts. I pray for the one that accepted that she will be a bright shining light in this dark community…believe me…it is very hard community…that she will grow in her faith and be the example God has given her the opportunity to be. Our second challenge was the many cat calls we were getting from the men on the streets. It’s funny, but I mainly noticed men out and about this day. I am assuming the women were in making the pumpkin soup (the traditional meal they eat on this day). The greatest challenge was a young man who had been drinking quite a bit, jumped onto one of the donkeys and began riding it. Tizzie, our Orphan Manager, stood there and just stared at him…didn’t say a word, didn’t raise a fist, she stood there. I was about ready to pummel the guy…ok probably not a good thing to do, but it still crossed my mind. One of the other ladies gently told him to get off and he did. The next thing I know he is jumping on another donkey. I thought it wise to stand back and let them handle it:) They did with much grace. He finally gave up and staggered down the street. At that moment I was so proud of our ladies. They showed such grace and restraint…it blew me away. 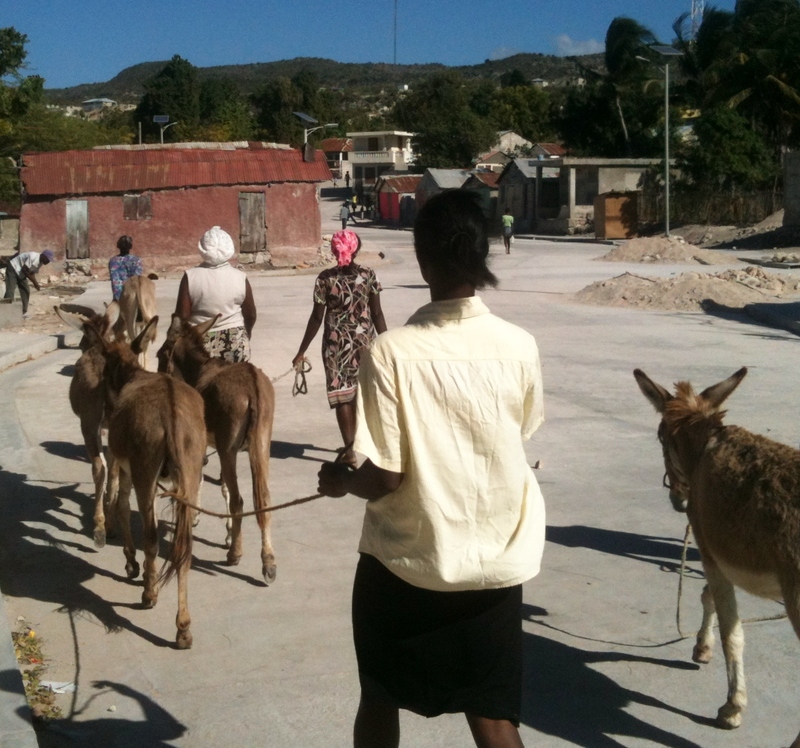 Now you many think what is the big deal…well here in Haiti women and men are known to throw rocks at one another, hit, slap and even bite one another so to see these ladies showing restraint and not following the norm…Jesus is working in them!!! 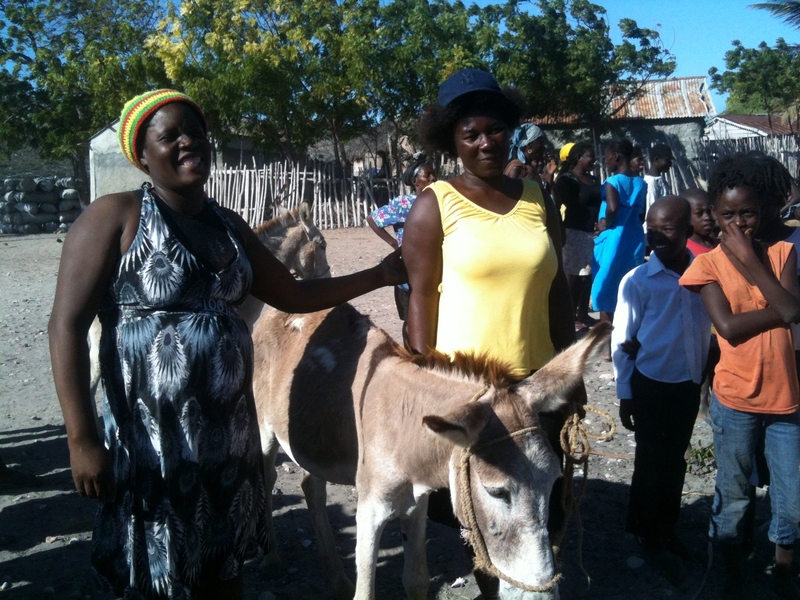 We arrived in Karenage with the donkeys and it was like Christmas…praising God for the wonderful blessing He had given to each of the ladies. 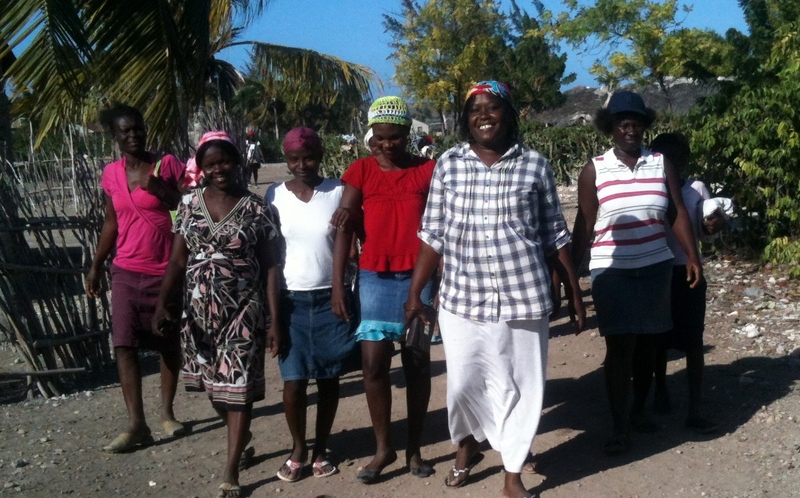 Seeing the village come out to see as well and to see what God had provided for these ladies. It was beautiful to stand back and watch. Momma Gigi and Madame NeNe passed out the paper work needed for each person, we took pictures, I played with the kids (no surprise there!) 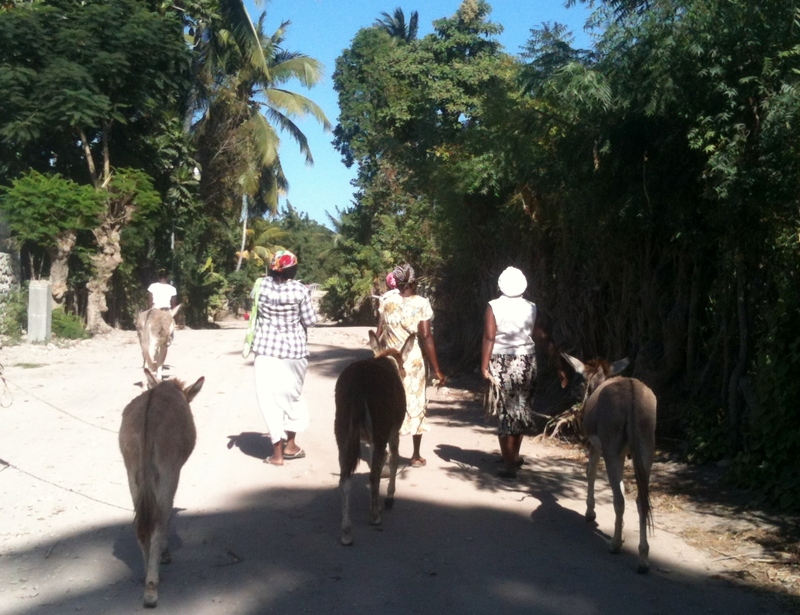 and Momma Gigi prayed for these ladies and the village and then we headed back home. What an incredible way to start the New Year!! 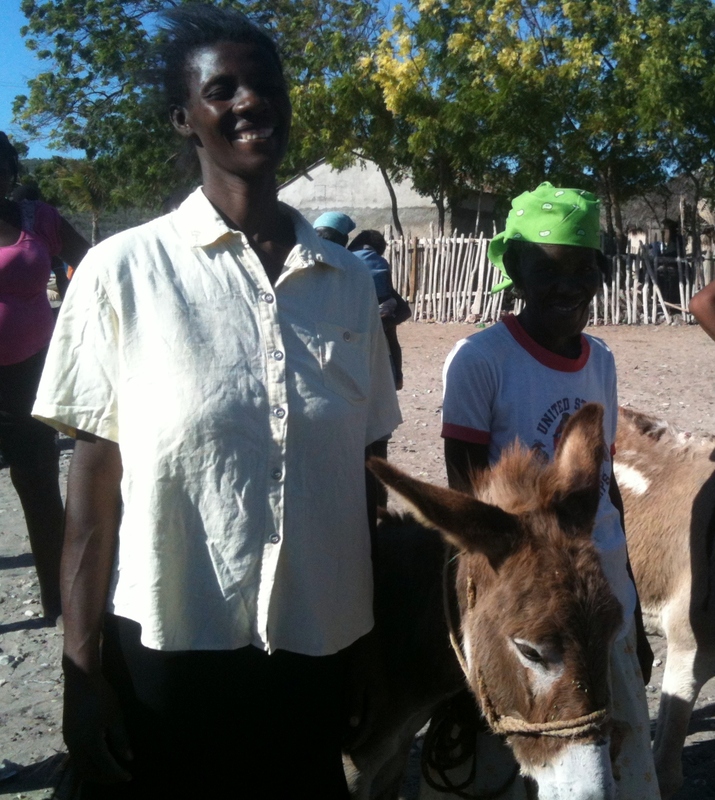 Please continue praying for these ladies, their children and the village. We do have groups coming in the days ahead that will be ministering to these very ladies. I know God’s Word doesn’t return void so I am believing these ladies will make a decision…God’s timing is perfect!! The first week we walked to Karanage to share the message of Jesus with the ladies, I told them of one of the first times I came to their village to have church with them. I went with some of the leadership from our church and at that time Marcel who had been teaching me Kreyol. He was leading the service this day. It was a regular service like we have, until Marcel put me on the spot and told…not asked…but told me to share a message with the people. I remember looking at him and saying are you crazy, I can’t do that. I don’t know enough Kreyol. He told me,” but you have the Holy Spirit”…how could I argue with that!! I took a deep breath, asked Jesus for help and then opened my mouth. All I remember is that I encouraged them to stay close to Jesus…to place there hearts in His hands and to trust Him and Him alone. I must have spoke for at least 10min. which is alot for someone who didn’t know a lot of Kreyol. After the service I asked Marcel why in the world he put me on the spot. As my teacher he was testing me, but as a believer he was getting me out of my comfort zone to trust in the Holy Spirit to help me. I asked him if the people understood what I shared and he told me they were very encouraged. I’ve never forgot that day and since then I’ve had similar moments like this. Today was one of these moments…I woke up this morning again, like last week, with my heart racing, My emotions were overwhelming me to tears as I was unsure if the message was what needed to be shared. I ended up preparing a different message. I was led to the ABC’s of Salvation. I felt like after last week we needed to review these steps.Last week I explained what sin was. By showing them the illustration of the Bridge and that Jesus is our Bridge. Along with the Scriptures for the Roman Road. We had a lot of discussion and particapation last week. I love it when they participate!! It shows me they are listening and learning. Beautiful!! I had posted on Facebook for all my faithful prayer warriors to pray for the hearts for each of the ladies. I asked for prayers for Kenson who would be interpreting, that the ladies would understand the message given. I asked that God’s truth would penetrate their hearts and that His Light would consume the darkness. I asked for you to pray that they would see Jesus and not me…to make me less and make Him more, His Words and not my own. I also asked for prayers for Momma Gigi as she shared her testimony from this past week. 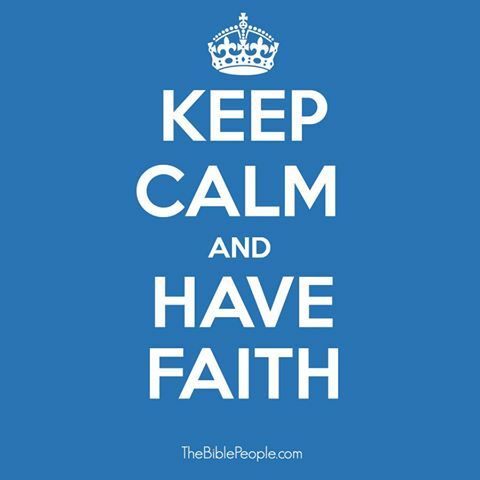 Our God really does have a sense of humor, because when I opened up Facebook to check my messages when I returned home…the first thing that popped up was a photo that read, “Keep Calm and Have Faith”. This is exactly what I had to have and had!! I arrived in Karanage prepared and ready after a 40min walk with just me and the Lord. Singing and talking with Him to really calm my spirit as it was still racing. I was a bit early…as I usually am:>) so I sat down on a rock to wait for our ladies. As I sat there I realized I was hearing drums in the background. Now when I here drums here I assume something voodoo is going on. They kept beating and I kept praying. The ladies of Karanage set up service at a different spot than usual, which I found intriguing, because the sound of the drums were coming from the area we usually hold the service. Mmmmm! Our ladies began to show up all except Momma Gigi and M’NeNe and it was 3:00 and this is when we have service. On top of this Kenson had not showed up either. I was beginning to freak out just a tad!! I didn’t let on to the ladies, because I joked with them a bit. I ended up going off a ways and sending an SOS out for immediate prayer via Voxer to a couple people. Two minutes later Momma Gigi and M’NeNe arrive, but no Kenson. I knew right then I had to rely on the Holy Spirit to lead my words!! We began the service with song and prayer and then it was my turn. I stood up looked at these precious ladies and said, “remember how I told you about one of the first times I spoke here was with the Holy Spirit interpreting for me, well guess what, looks like I have the opportunity to do it again.” They laughed, I laughed and my spirit was calm and at peace knowing He was in control. Momma Gigi was a great help when I got a bit stuck for words, but for most of the message I relied on Jesus alone. Which is part of what I brought to them. That I could not save them, that Momma Gigi can’t save them, that the witchdoctor can’t save them, but it is through Christ and Him alone that we are saved. ( Incidently the ABC’s of Salvation are Admit-Believe-Confess) Sharing the scriptures with them and reading it to them in their language was so very powerful. Watching their faces and looking into their eyes and seeing some of that darkness begin to turn to light blew me away. Lord Jesus Make it So. Change their hearts Oh, God!! Change their hearts!! Pray for these ladies and their children. Pray for this community. Waiting patiently…the above song has resonated in my heart since I was returned to the states this past Aug. 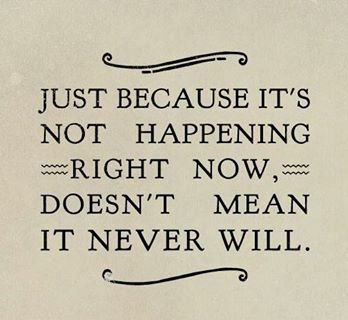 It has become a reminder everyday and on some days my prayer and my cry, because there are some things I am wrestling and fighting to wait for and there are some things that are worth waiting for. How can I wait patiently for the Lord? 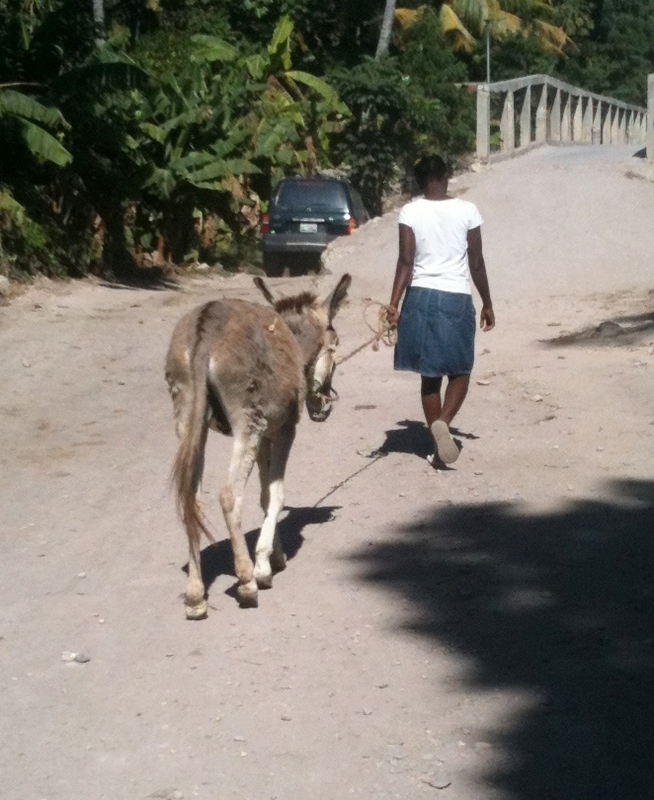 As I serve here in Haiti I am daily reminded and tested to wait patiently. 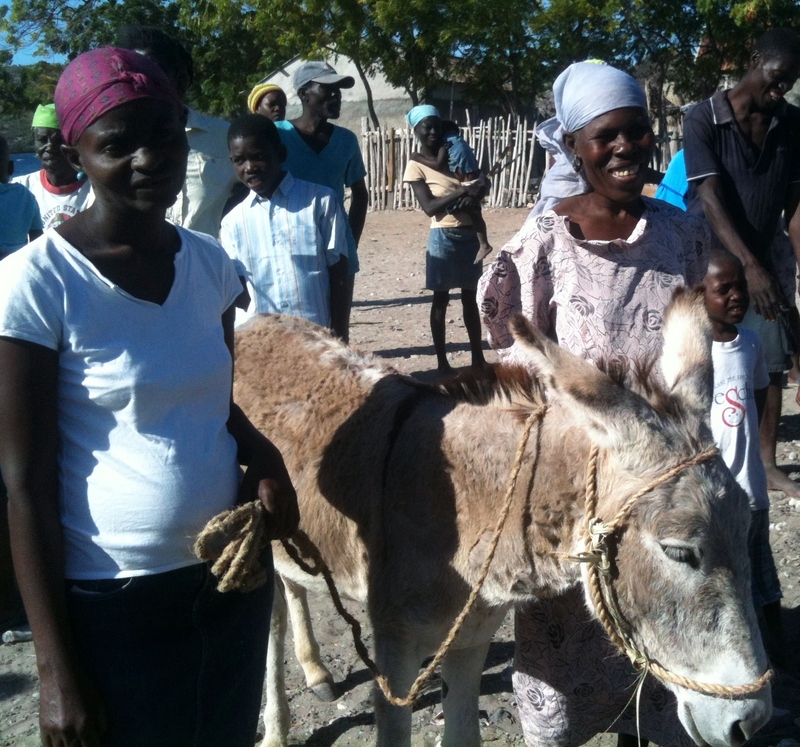 I learn so much from my Haitian brothers and sisters in this area. 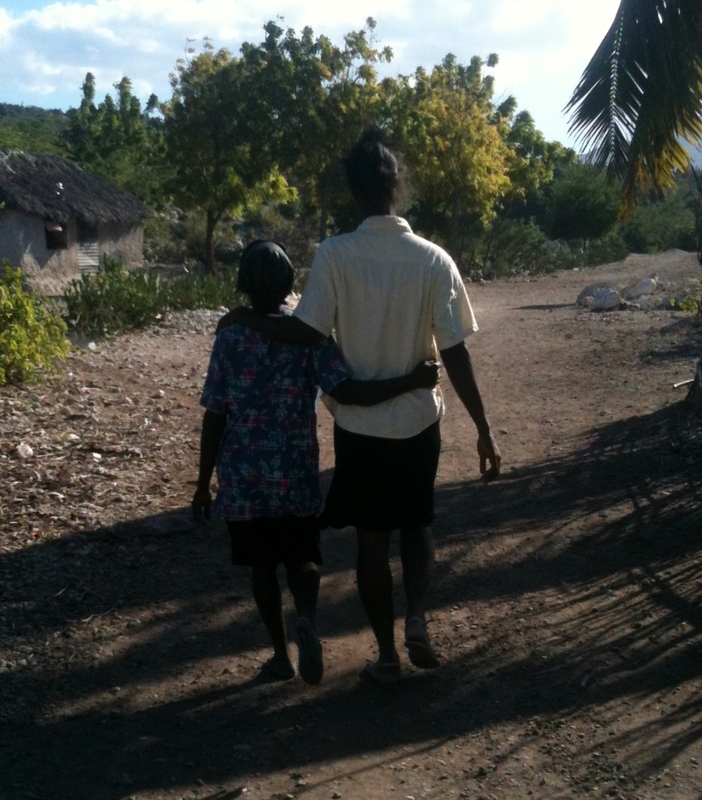 I really thought I was a pretty patient person until I came to Haiti and God showed me I can use even more patience. Almost everything we do here is hurry up and then wait. For the longest time I would get agitated and frustrated when things didn’t start on time. Growing up I was taught to be on time and for our family that meant being at least 10-15min. early. There were even times we showed up earlier, especially during swim season. I carried that over into my adult life and even when I coached. There were only a hand full of times where I was late and when I was people called out the Calvary:>) I had built a trust with those I coached and they knew they could count on me to be there. I’ve had to loosen my grip on this…I still show up on time or early, but I don’t get agitated like before…I try to make it more of a teaching moment when need to. We have waited 3 years to move out to the campus…it has been 3 years of ups and downs, twists and turns, joy, heartache and persecution. I can say with confidence that it was needed. We needed to wait. We needed to get to know our community and build relationships with those in it and in our church. We needed to watch the women of our church…fruit inspectors if you will:>) Watch how they cared and interacted with their own children and the children in the community. We needed to see their hearts to be able to know who would love on and help raise the beautiful children we have now. There is a beauty in waiting and these momma’s are a gift from God. Being on the campus now and hearing our kids from my room, hearing choir practice, playing with the kids and walking 1 min. to church now. Hearing or taking part in the all night prayer meetings or waking to them praying in the mornings…so worth the wait. We wait for leading and guidance when it comes to the children of this town who are being abused, enslaved, molested, prostitued. We cry out to the Lord for His help and for ways to combat generational sins. This isn’t a culture thing as so many people tried to tell me…THIS IS A SIN PROBLEM…pure and simple. We wait as a clinic is being built to be able to help and minister to these children and to the many mothers that have been abused and raped. We wait for a church to be built while we worship in a military tent…when and with what resources and who will provide? Only God knows and His timing is perfect…so we wait. We wait as our desire is to have each of the children to have 10 branches on their Family Tree to be filled. Who will “Lov’em Like Jesus” ? Yes, we wait!! As we wait…we pray, Pray, PRAY!!! We wait for the men in this community to realize who they are in Christ and how much we need strong Godly men to lead…in the community, in the church and in our homes. This is particularly heavy on my heart as I pray Psalm 128. We wait. Personally…I wait for those that I love to surrender and give their hearts to Jesus. I wait for the many young people that I know and love to give their hearts and lives to Him. I wait, but I wait expectantly! Expecting Him to do a work in their lives. Praying for opportunities to share more of Jesus with them. Praying that the words I have spoken or the actions I make reflected the heart, love and life of Christ. I wait…knowing that it isn’t me who will change their hearts, but Christ. I wait upon the Lord for the desires of my heart. It is days like today when those desires become more of a heartache and so I wrestle with knowing that His will may be different for me and so I surrender all to Him, because when it comes down to it…I want His desires to be my desires and I want to be in His most perfect will. So I wait and cry out to Him. I wait as friends and family struggle and face challenges that in my flesh I want to change and fix, but giving them over to the Lord knowing He has everything under control. I wait and cry out in prayer for change, for transformation, for revelation, for truth, for healing, for deliverance, for peace, for wisdom and for some to be brought to their knees. I wait and I cry out for those I love. The song above has become a daily reminder that in the waiting…I will serve Him…in the waiting…I will worship Him…in the waiting…I will not faint…I will keep running the race. Please pray that I don’t give in or give up…that I will wait patiently. 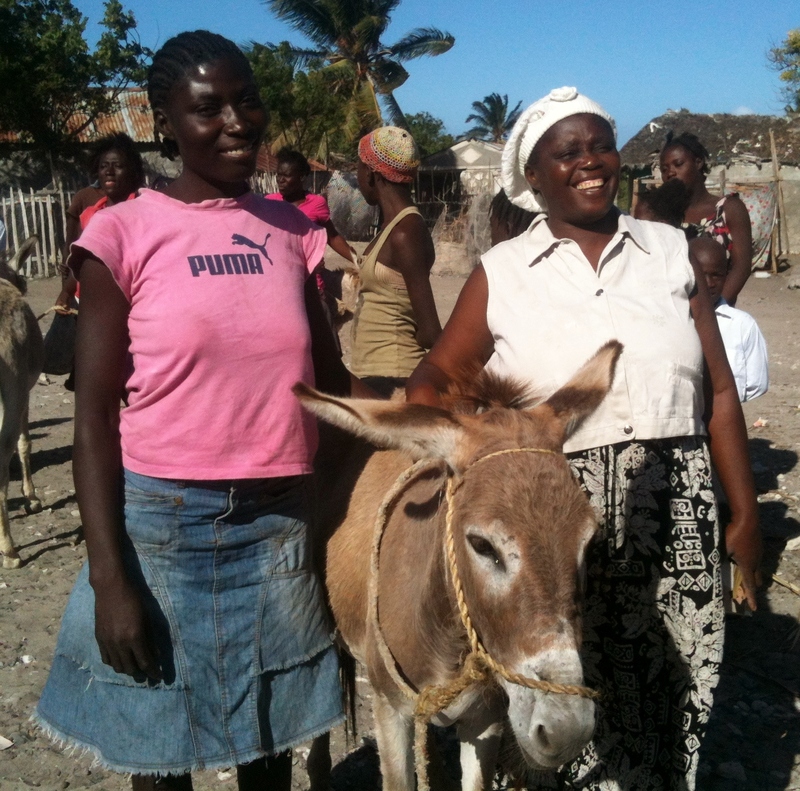 This month Northwest Haiti Christian Mission has jump started a new sponsorship program…The Family Tree. We are having a sponsorship drive to have 50 of our residents…orphanage, special needs orphanage and elderly…to be fully funded. “The Forrest through the Trees” sponsorship drive began just only 13 days ago so we have a little over half way yet to go. I want to thank you ahead of time for what role you will play in the lives of our kids and elderly in bulilding roots deep and building families. So what is the Family Tree? I am so glad you asked:>) This is no ordinary sponsorship…we want God to build roots that go deep in each of our precious children young and old. We want to build a community of believers that will circle each of them in prayer and support them just as you would one of your own. You’re not just writing an occasional letter or getting a yearly or quarterly picture or providing for their basic needs. You are planting seeds. Seeds that together we will water together to build a firm foundation based on God’s Word and through education, medical care, and nutrition. The children with special needs I believe teach us so much more than we could ever imagine. I know for me personally they have taught me to have more joy despite the circumstances of this life. They’ve taught me how to “let go and let God”. His timing in all things is perfect. So whether we are on this earth for 3 or 4 years or 80 years or more…He knows how long we are here. I can rest in that and I can try and rest in that for these precious ones that at times struggle so hard and ones that thrive and just show us how Awesome our God is. They blow me away and bless me incredibly!!! I had the joy of spending time with them a couple of weeks ago and oh how it lifted my heart. I’ve watched first hand the power of God’s hand in miraculous ways through these kids. Kids that said would not make it and our now walking, talking, going to school. I could go on, but wouldn’t you rather see for yourself as you become one of the limbs in one of these childrens tree’s!! The precious ones in our elderly care are so fun to hang out with and love on. Again I was able to love on them when I went to visit. I even got to dance with a couple of them:>) Here in Haiti, just like our special needs they are not seen…they are invisible and tossed to the side. We have and continue to strive to change this mind set…though so difficult…you can see the changes. Our elderly have some wise men and women…good story tellers too! We pray that they will be examples to those on our campus and in our community. These men and women get up before the sun rises and head to church for prayer and praise. This inspires me to be more in prayer!!! Now I realize I am more connected to the kids and that is alright, but I love all of our precious ones and desire for each one to be fully sponsored. Now, those of you that know me, know I desire God to do more than we could ever ask or imagine. I have been praying that God would speak to hearts of people and that He would raise up people to fully sponsored 150 kids or elderly. (You could say I want to see us go more than 50 ft. further:>) Are you crazy Miss Beth! Well, yes I am, but God is able…more than able. He doesn’t need us, but He chooses to us just because He loves us. Wouldn’t you want to be a part of something bigger than you could ever imagine. I know I want to see Him be glorified and praised for what He is going to do. Each child, special needs and elderly we nurture is supported by a Family Tree of up to ten people sponsoring at $30 a month. Gather your friends, relatives, coworkers or church groups and consider growing these precious ones together. Once you do, you’ll gain access to an exclusive Facebook group highlighting your sponsored child’s day-to-day life. It’s an easy and effective way to stay connected, to see the difference you’re making, to celebrate hope and a future in a real and tangible way. To begin this journey together there are 5 precious ones that I am personally coming alongside to help get fully sponsored. Just click on the links or you can go to our website at www.nwhcm.org to see our Family. Please consider joining our family and helping us bear fruit…fruit that will last!!! http://nwhcm.org/sponsorship/gran-maun/sinelia-augustin she has 8 limbs to grow on her tree. http://nwhcm.org/sponsorship/special-needs/roselore-charlestin she has 7 limbs to grow on her tree. http://nwhcm.org/sponsorship/our-orphanage/fabiola-felix she has 6 limbs to grow on her tree. http://nwhcm.org/sponsorship/our-orphanage/magislot-delicien he has 6 limbs to grow on his tree. http://nwhcm.org/sponsorship/our-orphanage/angela-petion she has 8 limbs to grow on her tree. Together we can provide the life giving water to help each tree to grow closer to Christ to grow those roots deep and firm in the Word of God…He is that life giving water!! Last Christmas a dear brother in Christ shared with me that he shares this verse and uses this verse to encourage the Haitian men in the church and in the community where he and his family live. It is a message that can reach the hearts and lives of the men of Haiti, but also as they begin to see their role in God’s plan and begin to lead in their homes, families, churches ,communities and country….Wow! What an incredible move of God that can happen!!  Verses 1 and 2 speak to a man’s heart.  Verses 3 and 4 speak to a man’s heart for his family.  Verses 5 and 6 speak to a man’s heart for a nation. This summer we had teams that came in and intentionally spoke into the hearts of women and children who have been treated as outcasts, who have been beaten, molested, raped and thrown into prostitution so that their family can have a way to have food. You must understand that this just does not happen in a few homes or is hidden behind walls like it may be here in the states. This is something that is ingrained in this culture…a norm. When I can walk down the streets and hear and see it happening I can’t just sit back and say…”Oh it is the culture.” Neither could these teams that came in. They spoke “Light into the Darkness”. They gathered a group of young girls and shared with them who they are in Christ and that they could be the Princesses of the King of Kings and Lord of Lord’s. They met with a group of teenage girls and explained how their bodies were created and worked and Who this creator was. They answered questions that could be very uncomfortable to most of us, but they answered with truth and always brought it back to Jesus. We had a team that came in and empowered our ladies by teaching them self-defense. They taught the children the difference between good touch and bad touch. Now I know I have spoke about these things before, but all of this leads up to what we are missing, what I am asking in this title…”We Need Few Good Men.” Where this verse speaks and to whom it speaks of. It is my heart and belief that if we can speak into the men and boys of who they are in Christ and who they can be with Christ a man, a home, a church, a community and a country can change. When a man takes his God designed place in the home and leads and loves like Christ leads and loves His church…what do you think can happen? When a man knows what it means to have integrity and respects his wife and his children…what can happen? When he is educated about his own body and how it works and how to use self-control…again what can happen? And above all when he can come to know who Jesus is, what He has done for him, then repents of his ways and chooses to surrender and follow Him. We know what can happen!!! His heart can change and he can learn to walk in the newness of life and be transformed by the renewing of his mind. So women…let me speak to the men candidly!! We need you men… older, younger, married and single. We need you to “step out of the boat…and know that you can walk on water! !” We need your example…Paul, Timothy, David, Peter, John, etc. 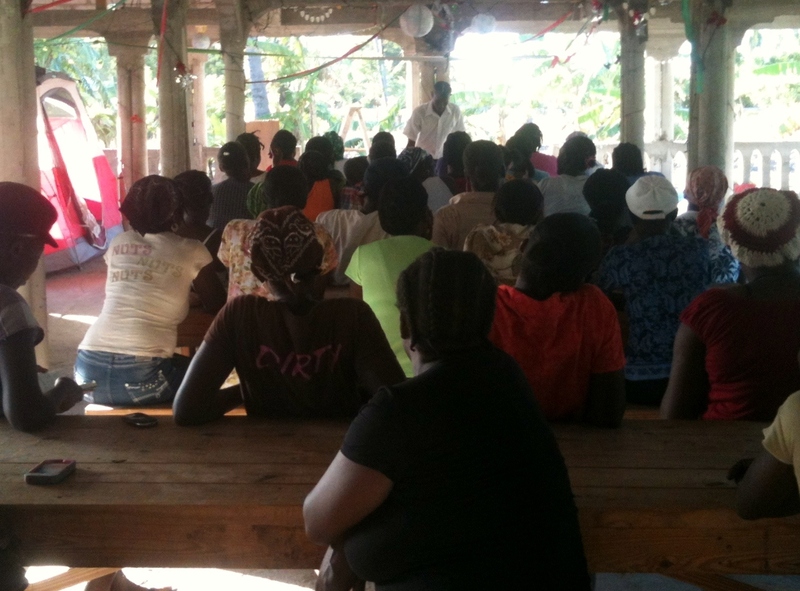 I know there are men God is speaking to…to come alongside the Haitian men and boys. I know there are men that have a burden for them and God has equipped you with your own life experiences and struggles to share. Men, I am asking you to begin praying desperately about how you can pour into the boys and men in the Mole and surrounding communities. I am asking you to dream big what may seem impossible and believe God will show you and lead you as to how. I am also asking you to enlist other men to this challenge…and this is a challenge!! Lastly men I want to ask you…”Do you want to be a spectator…or do you want to be on the field playing the game?” I am praying that you will suit up and show up on the field. Now women I have a job for you too:>) PRAY!!! Begin praying for your husbands, dad’s, uncles, brothers, fathers, pastors, deacons, elders…basically, all the men you know:>) Oh what a prayer can do!! Do not fear…the Lord Jesus is with you and will not leave you. He will lead you and show you the way that you need to go. Trust and Obey…there is no other way. Be still and listen to what He desires for you to accomplish for Him for His glory! !